When told they can benefit from orthodontic treatment, many teenagers balk at the idea of wearing conventional metal braces that show. This is not surprising as most teenagers are very concerned with their appearance and the idea of having braces criss-crossing their teeth is not something many teens look forward to. But there's an orthodontic treatment option available today that is leaving big smiles on the faces of teenagers everywhere! Invisalign Teen is a great orthodontic treatment option that straightens teeth without any wires or brackets whatsoever. Invisalign Teen is an orthodontic treatment method that consists of a sequence of custom-made, clear, removable aligners that gently move the teeth into the desired optimal position. As an Invisalign Teen patient, you will be given several aligners wherein you will start treatment by wearing the first aligner in the series for about two weeks. You will then replace the aligner with the next in the series and so forth until your treatment is complete. It is necessary that you wear your aligners for 22 hours each day, however, you can remove them while eating, drinking, brushing and flossing. 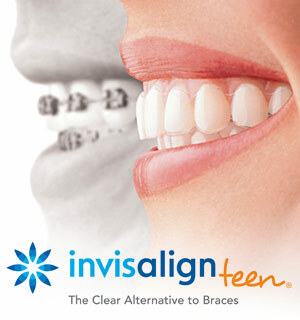 Are You A Good Candidate for Invisalign Teen? Dr. Ross Taddeo Orthodontics is proud to offer Invisalign Teen in East Orlando to teenagers who are eligible to wear clear aligners. If you're a teenager who could benefit from orthodontic treatment and the idea of wearing metal braces doesn't appeal to you, Invisalign Teen may be the ideal orthodontic treatment method for you. While Invisalign Teen can be used to correct many different types of orthodontic problems, it is not an appropriate treatment option for every teenager. The only way to find out if you can wear Invisalign Teen is to schedule an appointment with our office. Dr. Taddeo will provide you with a thorough examination to determine if you're a good candidate for Invisalign Teen. 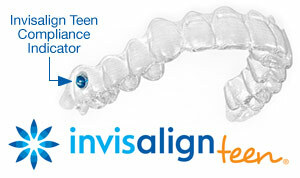 Invisalign Teen aligners are designed specifically to be worn by teenagers. Each aligner comes with a discreet compliance indicator that fades as the aligner is worn. This shows the patient, Dr. Taddeo and the patient’s parents whether or not the aligners are being worn as directed. Invisalign Teen aligners also come with special eruption tabs built in which hold space for permanent teeth that have not yet erupted. If you'd like to find out if you or a teenager you care about is a good candidate for Invisalign Teen, schedule an appointment with at our East Orlando orthodontic office today! We look forward to welcoming you to the Dr. Ross Taddeo Orthodontics family where we help our patients achieve amazing smiles that are both healthy and attractive!